Rebecca Bloomwood has the dream job. She’s a personal shopper, so is able to spend other people’s money all day instead of her own. And she gets paid for doing it. The perfect job, the perfect man – gorgeous Luke Brandon – and now … the perfect wedding. Yes, Luke has proposed and wedding bells are in sight. No excuses are needed to start the shopping trip of all time. And Becky’s parents are just assuming that the wedding will be at home – a marquee in the garden and Becky in her mum’s wedding dress, which she’s been saving specially for the occasion. But Luke’s mother has very different ideas – a huge affair in New York in a forest glade setting – or perhaps a Venetian Ball, or a fin de siecle extravagance? I’m not a massive chick-lit reader at all; in fact, Sophie Kinsella’s books are the only ones I can actually remember enjoying. But I really do love these books. I think it’s because Becky Bloomwood is just a normal person – there’s no high-powered career, glamorous life-style, irritating love triangle or any of those other cliches. When she makes mistakes, you understand the reason why she made those mistakes and you can feel her frustration and anxiety grow as she struggles to resolve them without her world crashing in bits around her. I think that’s it in a nutshell; why Ms Kinsella’s books are so good. Becky reminds me of myself to a ridiculous extent – I’m adept at putting things off until the last minute, and never thinking about the long-term consequences of my quick-fix solution. She’s loveable throughout though (just like me 😉 ), you never feel the irrestitable urge to throttle her like you do with some ‘heroines’ in this genre. You just know you’d love her if you met her. The other thing which is keeping me sane is an invaluable tip which I would recommend to all brides-to-be. In fact, I’m surprised they don’t mention it in any of the bridal magazines. It’s to keep a small bottle of vodka in your bag, and take a sip whenever someone mentions the wedding. For the record, this isn’t your usual ‘bridezilla suddenly realises that the truly important thing about her wedding isn’t the cake’ story. It’s more interesting than that. The ending is inspired – I’ve pretty much read the whole thing in one sitting (hey, it’s been a slow day), but I still had that tight feeling in your stomach when you’re quite sure how the ending is going to come together… but then it does and you feel wonderful. It’s not as Shopaholic-y as the first two. Obviously Becky still has a spending problem, but it’s more of a brief mention here and there while the wedding is the main focus. It doesn’t lose anything for that though. She still comes across as the same character, just perhaps one that has moved on in her life a little. I love it when characters grow. It’s the kind of book that leaves you with the happy feeling that you could do anything you damn well wanted. 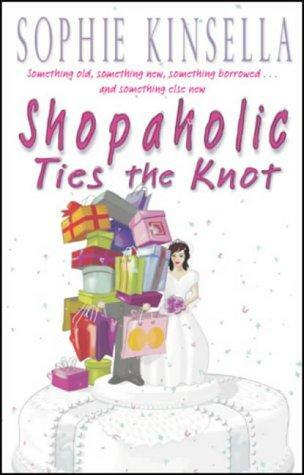 I absolutly love the Shopaholic series. The books are so fun to read and always make me laugh! The only problem with them is once I finish, I wish there were more to read!